Whatever role he's playing, Billy can be suitably attired! 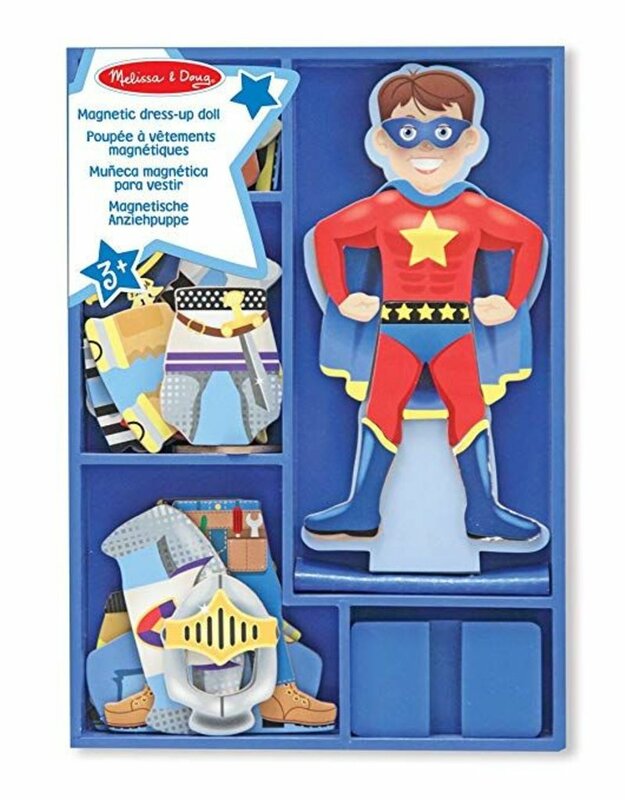 Whether it's a police officer, a super hero, a knight, fireman, a construction worker or a pirate, he is ready for adventure at a moment's notice. 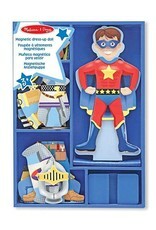 This set includes a magnetic wooden dress-up figure with a wooden stand and magnetic clothing pieces for pretend play! Extension Activities: More Ways to Play and Learn: -Ask the child to dress Joey in an outfit and tell a story about the character he is dressed as--where he lives, where he works, what he does each day, etc. -Ask the child to separate and count the number of pieces in each outfit. -Trace the pieces on paper and let the child color them. Assist in cutting out the new outfits that can be temporarily affixed to the existing pieces. -Place four or more pieces in front of the child. Let him study the pieces before asking him to close his eyes while you remove one piece. Ask the child to identify which piece was removed.